With the only lift accessed above treeline skiing in the northeast, Sugarloaf excels at providing terrain for those of all abilities and interests. Mix that with a fun and unpretentious community of restaurants, bars, a bowling alley, and more, and you’re in for a treat with a ski trip to Carrabassett Valley. The mountain offers daily lift rates that are comparable with other similarly sized mountains, as well as great deals on season passes if you’re able to commit to a season of fun, or for a nice compromise you can buy multi day tickets in advance for some solid discounts. Don’t forget Maine residents, college students, and others get discounts as well! Explore hand cut glades featuring both narrow lines and wider expanses. For easy access, Sugarloaf now offers a paid Cat skiing option! Hiking or skinning up is included in your day or season pass (or $10 by itself). 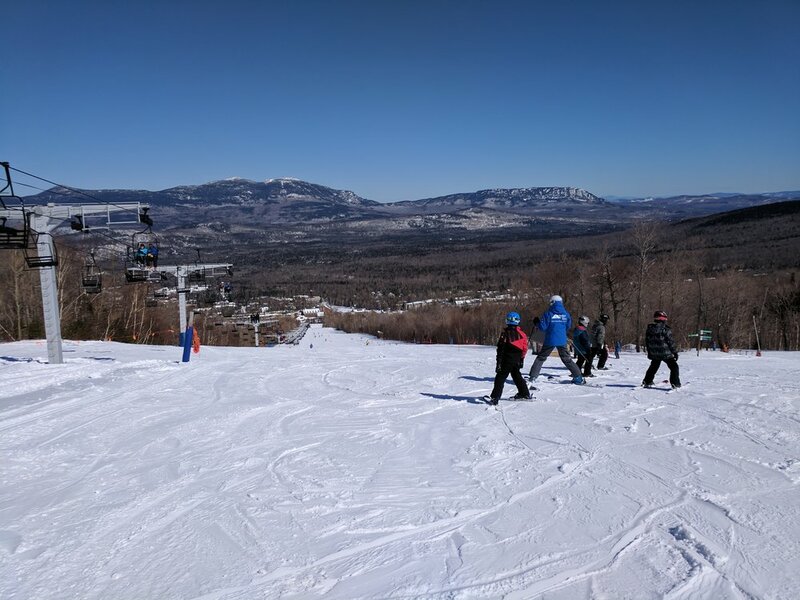 Whether it’s rentals, lessons, miles of beginner trails, a variety of options for eating, child care, bowling, board games at the hostel, or any other amenities, Sugarloaf is a family friendly mountain. Come have an amazing experience they won’t forget!